Neato POD 2: Fascinating shot of the annular eclipse | KeaNeato! This image was captured by Cecilia Walters in Japan during the annular eclipse. And here’s a link to a photo my husband took (flickr) from Albuquerque, New Mexico. 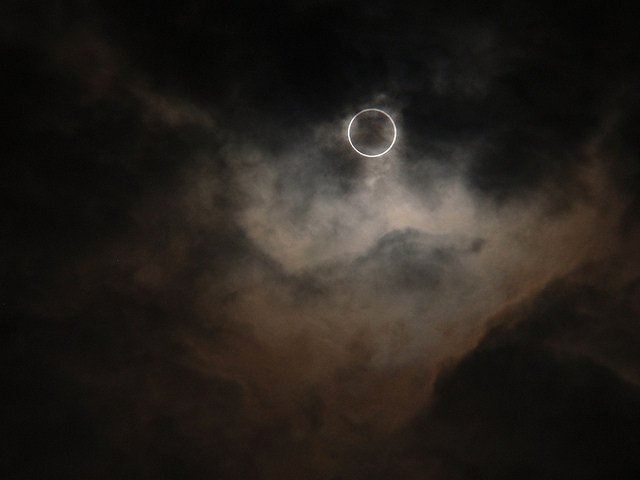 Photo of the annular eclipse from Japan by Cecilia Walters. This entry was posted in brilliant, fascinating, POD (picture of the day) and tagged annular eclipse, Bear Giles, Cecilia Walters, Japan. Bookmark the permalink.